The Undergraduate Advisory Council serves as a liaison between the Director of the Undergraduate Program and students enrolled in French courses. Appointed by the DUP in late spring, the 3-4 Council members may choose to serve for 1 or 2 academic years, beginning in fall. In 2015, the Council created 'Friends of French Newsletter', a news and events round-up published by and for students in French every other week during the academic year. Sara Garcia (Class 2020) is a third year majoring in French and Sociology. 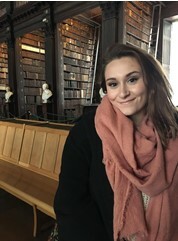 She studied abroad in Aix-en-Provence, France during the fall semester of 2018. She also spent a month living and studying in Toulouse, France during the summer of 2018. Outside of school, Sara spends her time coordinating and volunteering for programs that teach English and provide support to the Hispanic community of Charlottesville. Katie Poore (Class of 2019) is a fourth-year double majoring in French and English. She has been studying French since her freshman year of high school and hopes to put it into practice after graduation by teaching English abroad. Katie is also a musician and plays violin in Radio Music Society and loves teaching English as a Second Language with a volunteer program at U.Va. In her free time, Katie loves hiking, backpacking, playing music, trying to learn banjo, and creative writing! Grant Tabler(class of 2020) is a 3rd year majoring in Sociology and Government with a minor in French. He began studying French at the age of 5 and has been in love with the language ever since. He will be studying abroad in Lyon during the Spring 2019 term. While in Lyon, he will also be conducting a research study on elite culture and masculinity. He hopes to participate in the TAPIF program after graduation. Devan Keesling is a third-year, majoring in religious studies and foreign affairs with a minor in French. She studied abroad in Morocco in the summer of 2017, and studied in Paris for the following fall semester; she's studied the French language for 10 years, and has been a Francophile since childhood. When she's not studying, she interns at the International Studies Office and participates in the Religion, Politics, and Conflict Research Initiative. In her free time, Devan enjoys photography and binge-watching Shameless and American Horror Story. 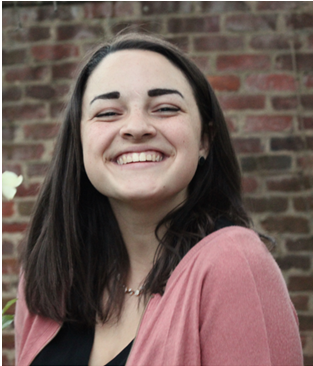 Sarah Rupert (class of 2018) majors in International Relations and French, currently living in the Maison Française. "I lived in Côte d'Ivoire when I was little, and I hope to work in a francophone country after I graduate." 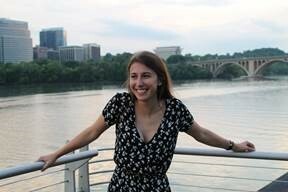 Sofia Dimick(Class of 2017) double majored in French and Global Development Studies. 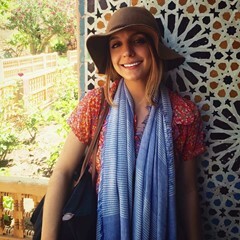 She participated in the Morocco summer program with Professor Bargach in the summer of 2016. "I’ve been interested in the French language and French and Francophone culture since a very young age. 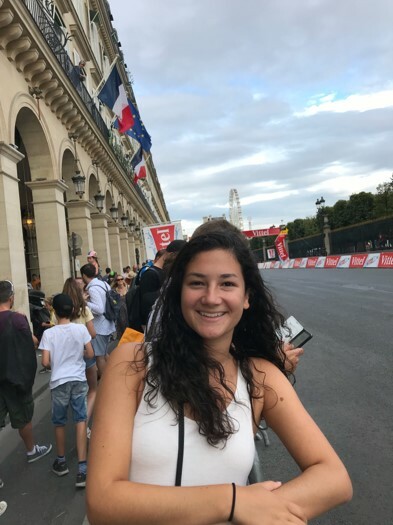 Becoming a French major has only helped my interest to keep growing as I’ve had the chance to study abroad and really develop a skill in the language!" Natalie Lohr (Class of 2017) majored in French and Government with a minor in Russian Language. She participated in the Lyon Summer Program with Professor Horne, in the Summer 2015. "Foreign languages have always been fascinating to me and are extremely important to my academic life-- I now have nearly 9 years of French and 6 years of Russian under my belt. 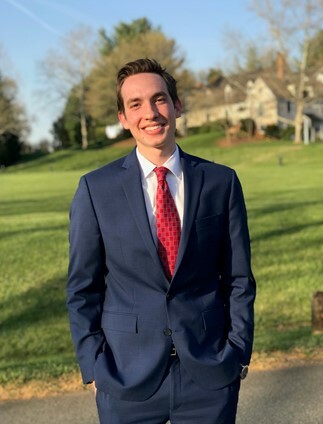 My study and engagement with the French language has enriched me so much, from my politics and history courses here at UVA to being able to communicate with different people all over--and I certainly hope that in the following years it is as big a part in my life as it is now!"